Top ranked hotel as determined by Guest Reviews, in the midst of Orlando's excitement & in the heart of the magic! 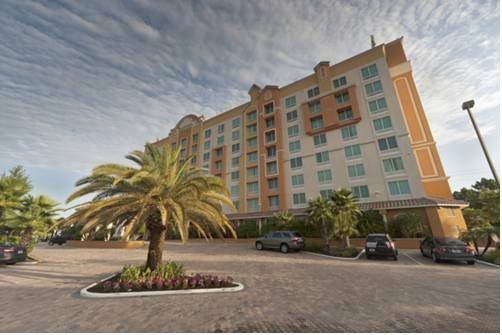 Minutes from Walt Disney World, Universal Studios, Sea World & much more. All rooms & suites include 37 inch high definition LCD TV's, microwave, refrigerator, coffee-maker and in-room safe, fashionable furnishings with 1st class amenities. Outdoor pool & spa, Fitness Center and Liquid Bar & Grill. An Official Disney Good Neighbor Hotel. Located right off the lobby.